The makers of Oreo cookies are giving fans of the classic sandwich cookie a chance to guess the flavor of their newly released Mystery Oreo for the chance to win $50,000 or one of five $10,000 prizes. 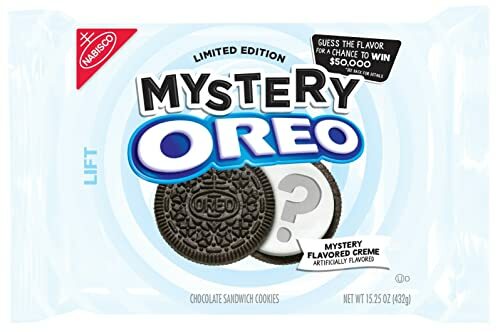 To enter, purchase a package of the Mystery OREO product. Take a photo of yourself with the Mystery OREO product. Then follow the links and instructions on the Contest Entry Form website to upload your submission. Be sure to test the cookie and submit your guess before November 30. The grand prize drawing from the pool of correct answers will be held on or around December 11, 2017.